Eshton has secured the first occupier at the £50m Burnley Bridge Business Park, a 70-acre development at junction 9 of the M65. 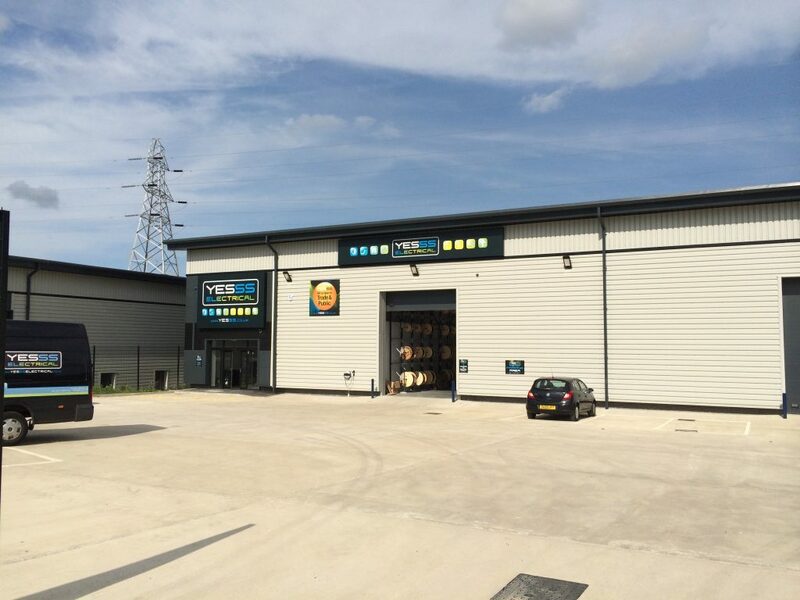 Wakefield-based electrical wholesaler, YESSS Electrical, has agreed to take a 6,500 sq ft. unit at Magnesium Court, one of four speculative buildings constructed as part of the high profile scheme. The Burnley site will be YESSS Electrical’s 85th branch. Entirely unknown in the UK two years ago, YESSS has grown rapidly to become the UK’s fourth largest electrical wholesaler, opening 85 branches in just 12 months, recruiting 800 employees and achieving turnover in excess of £100million. Magnesium Court offers a total of 39,000 sq ft of space that can be divided into smaller units to suit individual occupier requirements. The Leeds-based development and investment firm’s site provides a high standard of industrial and logistics accommodation for businesses looking to relocate to Burnley, the most enterprising area of the UK according to the Department for Business, Innovation and Skills. Delivered with the help of £3.85 million from the European Regional Development Fund (ERDF) and support from Lancashire’s Growing Places, the business park is expected to create 1,400 sustainable jobs once fully-occupied. James Chapman, managing director of Eshton, said: “We are delighted to welcome YESSS to the site. We’ve had a lot of interest in the scheme and securing a highly reputable company in a short space of time demonstrates our ability to choose locations with real growth potential. Council Leader, Mark Townsend, added: “It’s great to have the first tenant signed up to Burnley Bridge. I understand they are close to signing another tenant too. The council worked closely with Eshton to bring the site to fruition, so it’s great to see the site is now open for business and signing up new businesses and creating new jobs for the area.